Welcome to Neev Buildtech Pvt. Ltd. (ISO 9001:2008 Certified Company) home to best real estate deals in Gurgaon to help you lay ‘Foundation’ of your Dream Home. Neev, in Hindi implies, "Foundation or base" which has to be strong for any structure or relationship to last long. At Neev our aim is to become your partner of choice, recommended to people who trust you. We assure transparent deals to deliver you satisfaction and us a friend for life. Neev is a fast emerging, professionally managed & trusted by many, Real Estate Solutions Company where ‘Fair & best deal’ is the essence of every relationship and delivering end-to-end services under one roof is a promise. 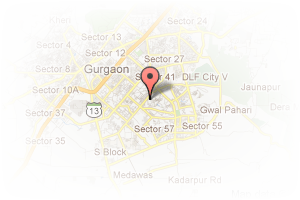 Address: sohna road, Sector-49, Gurgaon, Haryana, India. This Broker Profile page for "Neev Buildtech Pvt Ltd" has been created by PropertyWala.com. 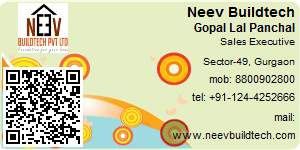 "Neev Buildtech Pvt Ltd" is not endorsed by or affiliated with PropertyWala.com. For questions regarding Broker Profiles on PropertyWala.com please contact us.